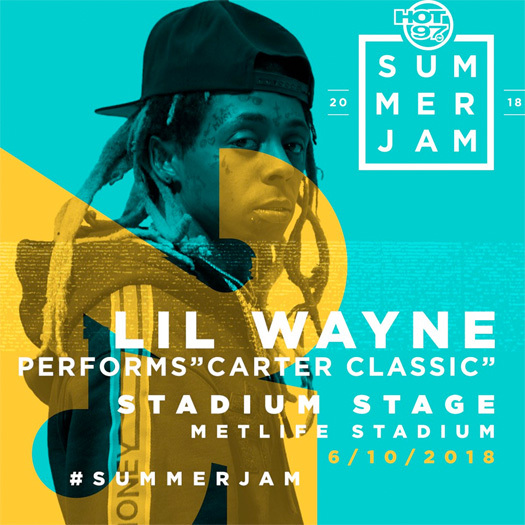 Lil Wayne has been announced as a headliner for Hot 97’s 25th annual Summer Jam music festival at the MetLife Stadium in East Rutherford, New Jersey on June 10th. As well as Weezy, there will also be live performances from Kendrick Lamar, Swizz Beatz, A$AP Ferg, Tory Lanez, Remy Ma, Rich The Kid, A Boogie Wit Da Hoodie, and more. If you wish to attend the concert and see Tunechi perform his “Carter Classic” songs live, tickets will go on pre-sale today (April 17th) from 10:00AM EST!